FORT MILL, S.C. — Nov. 9, 2017 — Freightliner’s new Cascadia® will now be offered in a 60-inch raised roof sleeper model in both 116- and 126-inch BBC platforms – adding to the number of configurations available for the groundbreaking truck model. For maximum fuel efficiency, the new 60-inch raised roof configuration is available with either Aero or AeroX aerodynamic packages. It features the Integrated Detroit™ Powertrain (IDP) with either a DD13® and DD15® engine, as well as the DT12™ transmission with Intelligent Powertrain Management (IPM4), and Detroit axles with axle lubrication management (ALM). The new configuration is also available with Cummins X15 engines and Eaton® Fuller Advantage® transmissions. Customers can now place orders for delivery of all cab configurations in January. They can also digitally configure the interior and exterior at www.freightliner.com/configurator. One-piece windshield designed for improved visibility. It also uses asymmetric glass construction to reduce chipping and cracking, and it is roped-in for ease of installation and increased uptime. LED-lit interior and exterior lights, making the lighting system more maintenance-friendly. Ergonomic dashboard with a layout that helps drivers easily access gauges and switches. 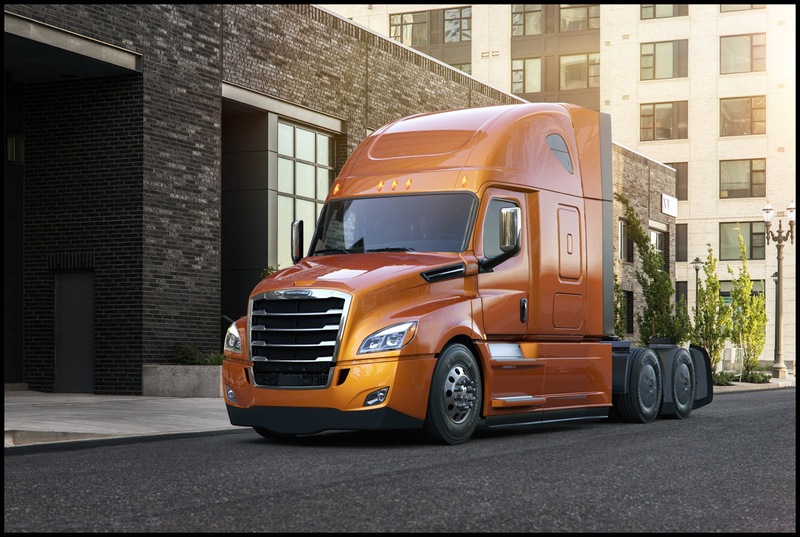 Detroit™ Connect Virtual Technician™ and Detroit Assurance® 4.0 suite of safety systems that seamlessly integrate into the new Cascadia, providing enhanced fleet management while increasing uptime. For more information visit www.freightliner.com or, to select from 12 different day cab and sleeper cab options, visit www.freightliner.com/configurator.